Queens, NY got something of a thrill and/or scare last night, when an exploding power transformer lit up the night sky in a vibrant blue light. It was the kind of luminescent display that moviegoers are all too familiar with, as they've seen similar effects in just about any and every alien or monster movie attack on the city. Godzilla has a movie coming out next year (Godzilla: King of Monsters), so some fans thought this must be pat of the marketing. Slide 3 of 7Godzilla Attacks! It didn't take long for Godzilla to become the undisputed king of memes about this Astoria explosion! To Godzilla die-hards, this just wasn't an attack - it was a "Level 3" Godzilla incident. Whatever that is. Some fans just refuse to buy the "cover story" about an exploding power transformer - since they know the real truth! This guy knows how to have fun with a possible apocalyptic Kaiju attack on the city: with one hell of a last meal. Slide 7 of 7It's Zilla! The 1998 Hollywood Godzilla movie was so bad that the monster in it was re-branded as "Zilla." 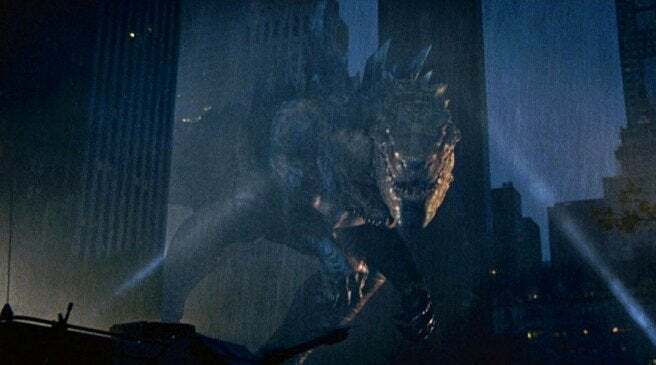 However, the reveal that Zilla was just a mom trying ot lay some eggs in NYC plays pretty well in a situation like this.